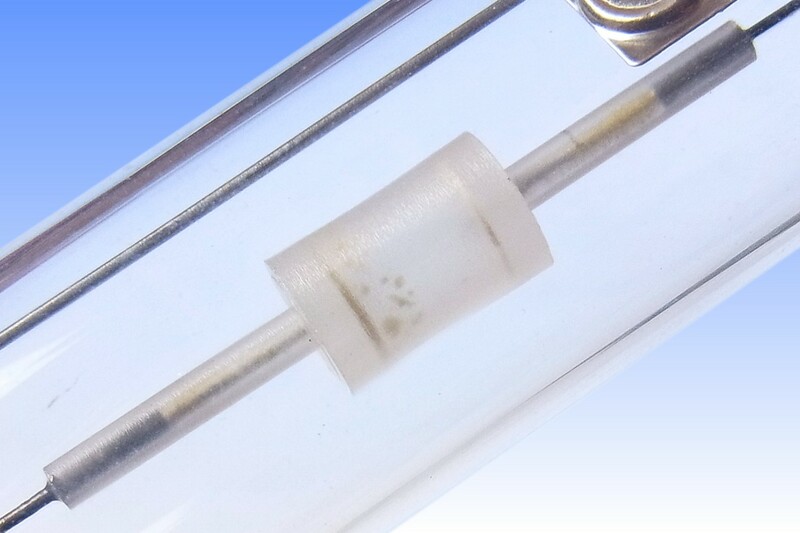 When Philips launched the worlds first commercial ceramic metal halide lamps (CDM) at the end of 1994, this major innovation took the lighting industry by surprise. Fast-track projects were immediately initiated at the major competitors to copy the new technology - which was possible thanks to a patent-interchange agreement between the principal lamp makers. 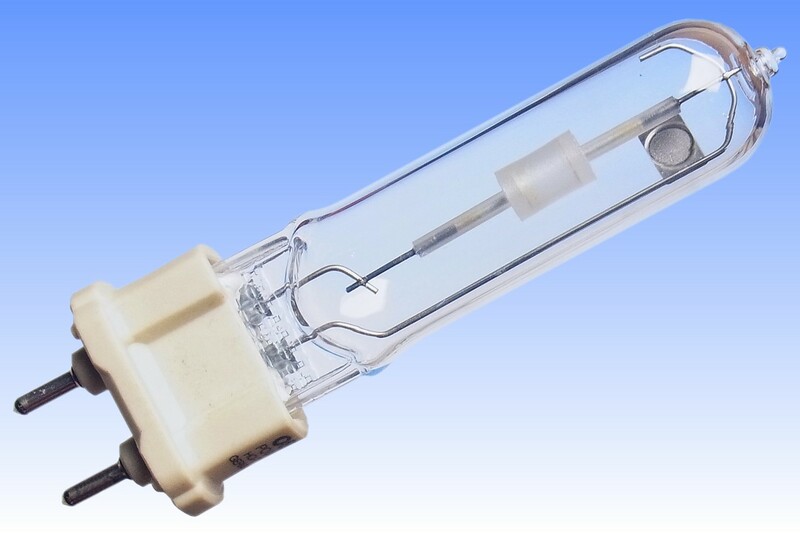 GE was the second company to market its CMH lamps in the summer of 1997, followed by Osram later that year with the lamp pictured here. Osram's "HKI" lamp development was led by the Berlin site, with support from the former Sylvania ceramics factory at Exeter,NH in USA. Early prototypes were shown at the 1996 Hannover World Light Show, and again in 1997, but Osram was clearly struggling to catch up with Philips and GE because they were lit behind dark green glass - the usual trick applied by manufacturers when the colour properties of the arc had not yet been sufficiently refined to allow a public demonstration. 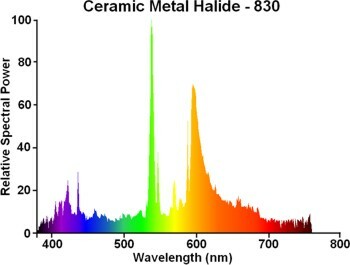 It took a full three years for Osram to introduce its lamps and become the worlds third manufacturer to master ceramic metal halide technology. When launched, the name was translated from the German HKI (Hochdruck Keramisch Iodide) to English HCI (High-pressure Ceramic Iodide). 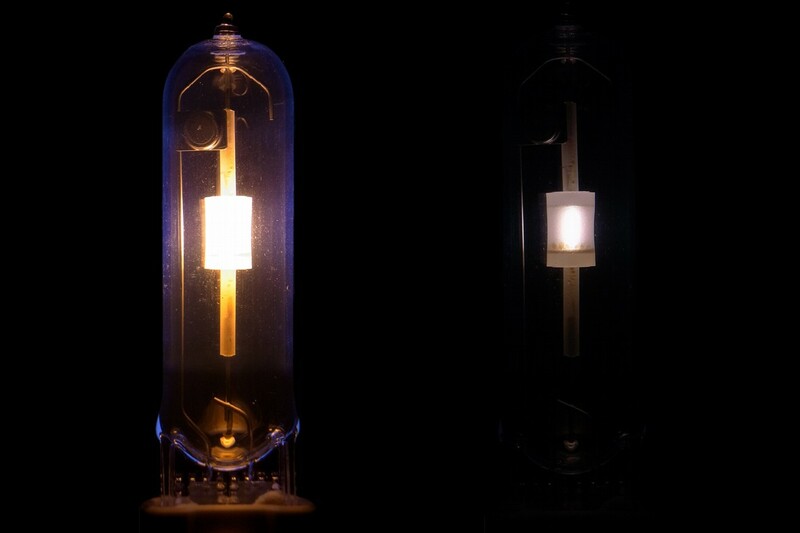 The lamp construction appears to be a direct copy of the Philips originals. The only major difference is visible in the striations on the arc tube surface, indicating that it was machined or pressed isostatically, rather than extruded as for the Philips and GE ceramic materials. 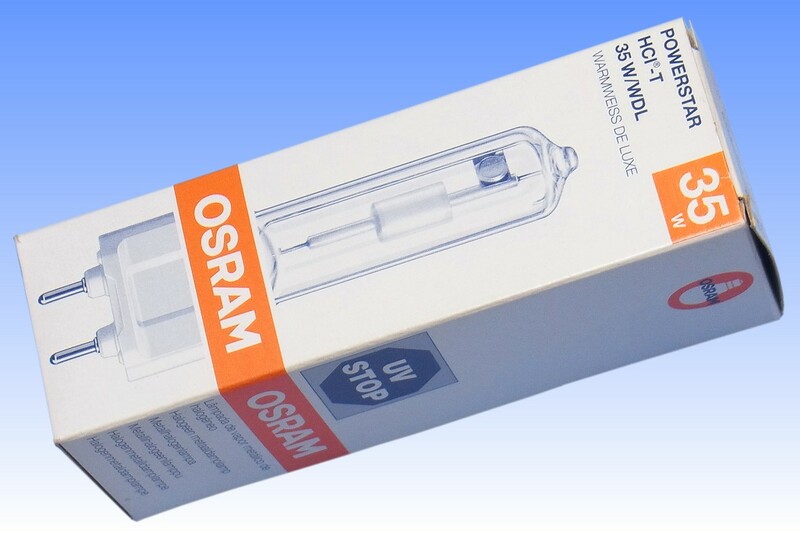 However Osram quickly went on to achieve its own further improvement of the technology with the launch of its unique HCI Powerball lamps in 2003, the first to feature a near-spherical arc tube. References: 1) Osram Lichtprogramm, 1997/98, DE. 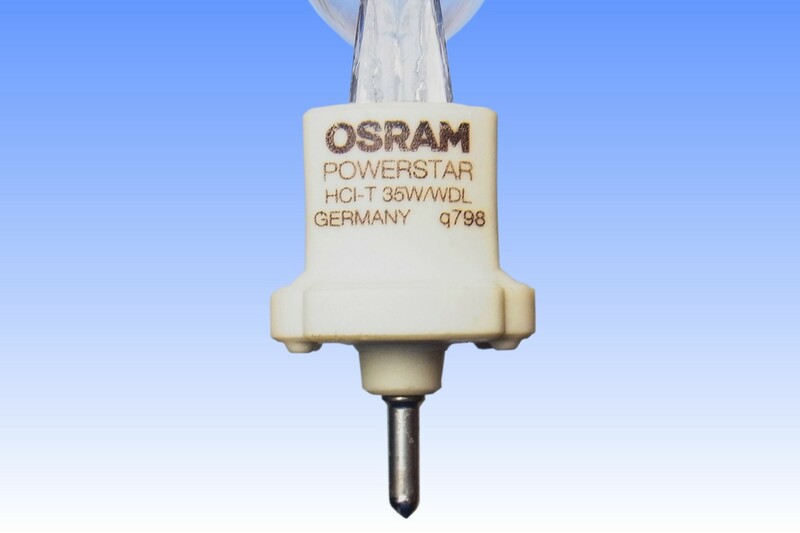 2) Osram Brochure PowerStar HCI Ceramic Technology, April 1997, EU.